The World Cup of Hockey: six national teams, one North American 23-and-under team, and a team with the best hockey players from all over Europe. Hockey fans got a taste of a new team format with an elite-level squad spanning eight European nations. One of those countries is Germany, where Edmonton Oilers forward Leon Draisaitl hails from. Only 20 years old, Draisaitl understands how big of an opportunity this tournament is for Team Europe - and for himself - who get to compete on this global stage. At such a young age, the German forward has already established himself as a key offensive NHL’er, notching 51 points in 72 games last season with the Edmonton Oilers after originally being left off their 2015-16 official opening game roster. Draisaitl has already competed nationally several times and has played in a CHL Memorial Cup. Given his young age, he still believes that his experiences so far allow him to bring leadership to the Oilers and Team Europe. However, he has a lot more to prove and is excited to learn and soak it all in. “I am young and I still have to learn tons and tons. No matter how old you are, you can bring leadership to a group. I try to do that every day and eventually I want to be a leader on a team”. Team Europe has turned heads from the very start of the World Cup of Hockey. This is a team that many people counted out. They silenced critics, after winning their first two group games, and defeated Team Sweden in the semi-finals. For Team Europe, Draisaitl has been able to produce and come through in a big way - scoring two goals in the tournament, including an overtime winner in the group stage of the tournament. Several nations being represented on Team Europe including France, Slovenia and Norway have made appearances at The World Junior Hockey and IIHF World Hockey Championships. Other nations, however, like Slovakia, Denmark, Switzerland and Germany, are still developing, but have been getting more chances and success while improving every year. 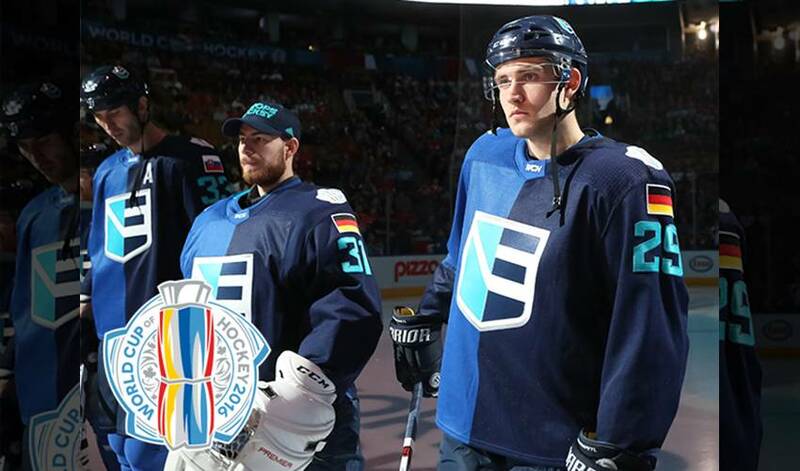 Draisaitl, who is one of six Germans on Team Europe, believes Germany is getting better in international competitions. With many key moments already developed throughout this tournament, Team Europe’s success thus far has been a great source of exposure for European hockey nations. “Our team is a pretty big storyline. As Europeans from small countries where people don’t even know that hockey exists, I think that it’s a pretty special achievement what we’ve done here so far, and we hope we can build on that and keep going,” Draisaitl states. This tournament is clearly an opportunity for Team Europe to solidify its place on the elite hockey map of the world. To date, having made it to the final round, they have effectively capitalized on this chance and are very well deserving of the success they are achieving in Toronto. “I don’t think the hockey gets much better than here,” Draisaitl admits. Draisaitl and the rest of Team Europe look forward to the opportunity and challenge that comes Tuesday, as the puck drops on game one of the World Cup of Hockey Final against none other than Team Canada.